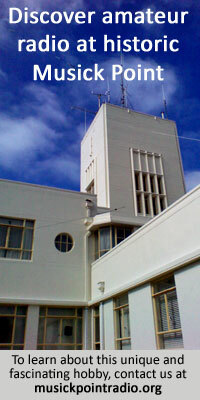 Ron Lowry first appeared at Awarua Radio as a mechanician in 1949 and finished up as a Senior Technician in 1978. In between times he had stints in the Cook Islands and elsewhere. Ronald Cornelius Lowry was my Dad. His father was a book binder and his mother a music teacher which is where I guess he got his love of music. Ronald was the youngest in the family with two older sisters, Eileen and Lorna, and an older brother, Trevor. Trevor was in the Air Force, which always impressed Dad. 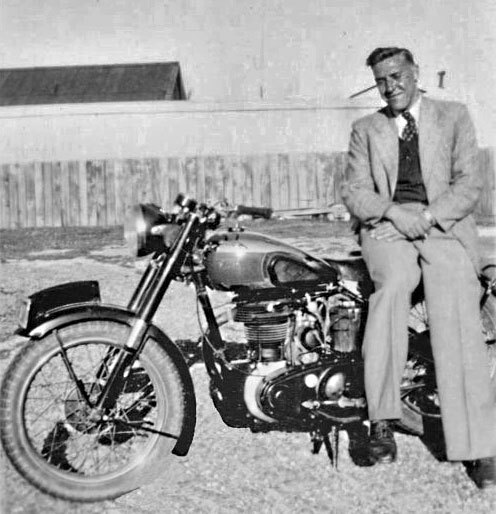 As I asked around about Dad’s early days, there was one thing that came up repeatedly, his motorbike. On Saturday afternoon, it was common for the boys to go to the pub and then return to pick up girlfriends or wives and take them on the back of the bikes to go dancing. And the dancing lasted all his life. I used to love watching Mum and Dad dancing together. They just looked so elegant, and danced so effortlessly. The fruit doesn’t fall far from the tree. In my early twenties, I wanted to dance like mum and dad. I enrolled in ballroom dancing lessons and it was there that I meet my future wife, Heidi. Dad must have handed me down his dancing shoes. The bike was also used to get Dad back from Invercargill to his home town of Christchurch. It was a long and cold trip. It was his brother and a bit of typical Ron thinking that led to a more comfortable return leg on one particular trip. Trevor had taken pity on Dad and provided a wool-lined flying jacket. Dad rigged up a heater inside the jacket and connected it to the battery on his bike. Far warmer. This seemed to set a trend for Dad. He always seemed to have a knack for fixing things, even if he hadn’t seen them before. It didn’t matter if it was mechanical or electrical, he had a knack for being able to work out how it was supposed to work and repair it. Today we have the luxury of the internet. Not back then. It always amazed me how much he could achieve with a simple multimeter. Dad lived at Awarua twice, once as a single man and the other as a father with three children. Before leaving Christchurch for his second stay at Awarua, around April 1972, Dad purchased a red Hillman Humber 80. The paintwork was a little tired, so he and Mum decided to give the car a repaint. After hours of sanding, it went to Dad’s “paint shop”. He used a compressor and spray gun and made a beautiful job of painting the car a very bright burnt orange. Mum attended to the upholstery covering it in fake black leather. It did make a statement. As a member of the senior staff, Dad was in charge of the firefighting equipment, and took his role very seriously with regular practice sessions. One night, the siren sounded. The farmer’s house was on fire. Dad and the boys all jumped onto the firetruck and headed off to the fire. It was too late – the house had burned to the ground. It was his generous spirit I think Dad will always be remembered for. He was the sort of person that would give you the shirt off his back and never expect it to be returned. One night, about two in the morning, there was a knock on the front door. Dad opened the door to see two fairly rough-looking gentlemen. They had been on their way to Bluff when their Chevy V8 stopped half-way along the Awarua straight. Mum was reluctantly roused out of bed and told to make the boys a cuppa. Despite his efforts the car failed to start, so he offered to take the two boys back to Bluff. It was 5am before he returned. The following day, the two men returned to get their car. Once again, there was a knock on the door and there were the two young men, this time with a dozen beer and a word of thanks for Dad. Awarua wasn’t just a place of work, it was our community, and our home. As teenage boys we would roam the paddocks, hunt rabbits, ride horses and play endless games of pool on the full-sized billiard table. Dad had an eye for the future, and managed to get his hands on a couple of old wooden manual telephones – the sort that hang on the wall, with the old fashioned hand-piece. He couldn’t find a good place to store them so put them under the house for safe keeping. I was brought up with the constant sound of music in our house. Although his mother was a music teacher, he never had the patience to learn to read music and always envied those who could. Dad played by ear, listening and then working out the chords as he went. He was very good on the ukulele, harmonic and piano – and a party was never far away when the uke came out. “Can you play this Ron?” would come the call, and Dad would knock out a pretty good resemblance to the original. Mum had a fall at work one day and it turned into a cancerous lump resulting in the loss of her leg. It was this that caused the family to rethink the priorities and we returned to our family home in Christchurch. Our four-year tenure at Awarua was over. When the family had settled back in Christchurch, I asked Dad what had happen to the beautiful old wooden telephones. He had forgotten all about them. They were still under the house. I hope they found their way to the Awarua Communications Museum.